As heiress to a media empire Alessandra Sinclair was raised to put family obligations first. But everything changes the night her first love walks back into her life and turns her whole world upside down. Haunted by the memories of a secret romance with a boy from the wrong side of the tracks, she can’t seem to get Hudson Chase out of her mind. Once again torn between two worlds, Allie must decide how much she’s willing to risk to have the love she’s always longed for. Ten years is a long time to wait, but billionaire Hudson Chase didn’t become CEO of one of the country’s fastest growing companies by giving up on what he wants. Now that he’s got Allie in his sights again, he’s determined to make her regret breaking his heart. And this time, he’s going to make damn sure he’s not so easy to forget. Who do you have in your bed this Sunday? 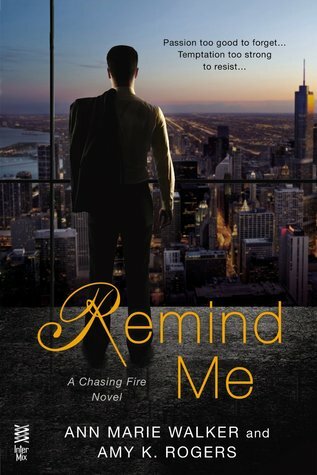 This entry was posted in Adult Romance, Amy K. Rogers, Ann Marie Walker, Book Spotlight, Books, Reading, Romance, Sundays In Bed With... and tagged Adult Romance, Amy K. Rogers, Ann Marie Walker, Book Spotlight, Books, Reading, Romance, Sundays In Bed With…. Callum, from Kristen Ashley’s, With Everything I Am.